Golden, crunchy O’s and a rich crème coating combine to bring that Golden Oreo® cookie taste you love to your breakfast table. So incredibly delicious, you might want to pinch yourself. But not too hard, because it’s not a dream. If you love peanut butter, you have to try Post® NUTTER BUTTER® Cereal! Peanut-shaped pieces offer a crunchy bit of fun. A creamy coating with REAL peanut butter tops them off with the NUTTER BUTTER® flavor you love. It can't be real...but it is! The taste of your favorite dessert, now in your cereal bowl. 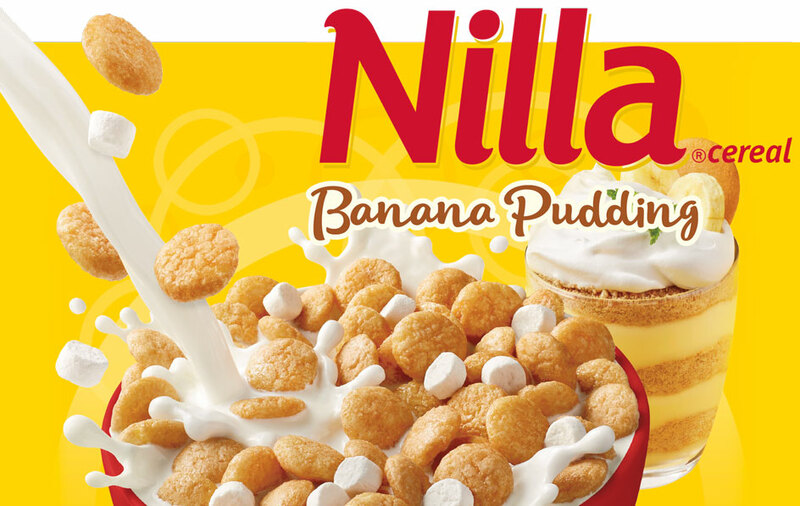 Nilla® Wafer flavored pieces with banana and marshmallow flavors come together in an unbelievably delicious breakfast combination. There’s nothing quite like it, even in your dreams. But it’s not a dream. And seriously who doesn’t – try this chip off the old block! Start your day with a cereal celebration that puts the taste of America’s Favorite Chocolate Chip Cookie right into your breakfast bowl. It’s not a sour prank and it’s not a dream! The SOUR PATCH KIDS® inspired cereal features fun, “kid” shaped pieces with a tart coating and a sweet finish. Whether enjoyed in a bowl of milk or straight from the box, Post SOUR PATCH KIDS® flavored cereal will make the cold days this winter a little less sour. Dream Cereals is part of the Post Consumer Brands family of products. OREO, HONEY MAID, NILLA, NUTTER BUTTER, CHIPS AHOY! and SOUR PATCH KIDS are trademarks of Mondelēz International group, used under license.